Berlin / Ottawa, Kanada – 29. April 2015 – Mitel (Nasdaq: MITL) (TSX: MNW), ein Hersteller im Bereich der Unternehmenskommunikation, vollendet den Kauf von Mavenir Systems Inc. Es entsteht einer der führenden Anbieter konvergenter IP-Kommunikation für Unternehmen, Service Provider und Mobilfunkanbieter. Mit der Akquisition von Mavenir erwartet Mitel, seinen adressierbaren Gesamtmarkt um rund 14 Milliarden Dollar bis 2018* zu erweitern. Das Unternehmen positioniert sich in einem Umfeld von steigender Nachfrage nach 4G LTE-Dienstleistungen, die jährlich um ca. 52 Prozent wächst (Compound Annual Growth Rate, CAGR). * Quelle: DellOro, Infonetics, Markets & Markets. "With Mavenir part of Mitel's business and market footprint, we are now able to fully address both the enterprise and mobile markets for IP-based communications," said Rich McBee, President and Chief Executive Officer of Mitel. "The combination gives Mitel a unique opportunity to capitalize on the rapid growth of 4G LTE now, and the convergence of business and mobile IP communications in the future." Mavenir CEO, Pardeep Kohli, joins Mitel as President of Mitel's Mobile Division. "The move to LTE mobile networks has created a valuable opportunity for service providers to leverage a converged all-IP network to offer feature-rich business and consumer communication services on any device, anywhere, on any access network," said Pardeep Kohli. "Now, as part of Mitel, our mobile customers will be able to benefit from Mavenir's industry-leading 4G solutions as well as the global reach, size and scale of Mitel's operations, and its IP and cloud communications expertise." 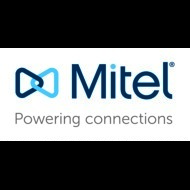 In conjunction with the closing of the acquisition, Mitel today completed financing of a US$710 million credit facility consisting of a US$660 million term loan maturing in April 2022 and an undrawn US$50 million revolving credit facility maturing in April 2020. The US$660 million term loan is priced at LIBOR, plus 4% with a LIBOR floor of 1.00%. The undrawn US$50 million revolving credit facility is priced at LIBOR, plus 4%. Upon achieving net debt leverage of 2.75X, the rate on the term loan will decline a further 25 bps. "Mitel's track record of successful M&A integration and our reputation for prudent operational management have enabled the company to attract quality investors at very favorable terms," commented Steve Spooner, Chief Financial Officer, Mitel. "Having a debt offering nearly 3X oversubscribed is a real testament to the Mitel team. The resulting capital structure brings excellent operating flexibility to the company ensuring Mitel can invest in those parts of our business driving profitable growth, while also providing us the strength and stability that our customers expect when working with a global leader." Proceeds from the new credit facilities were used to finance the acquisition of Mavenir, repay the approximately US$280.2 million outstanding under Mitel's existing credit facilities and to repay the approximately US$27.3 million outstanding under Mavenir's existing credit facilities, as well as accrued interest, fees and expenses related to the foregoing. BofA Merrill Lynch and Credit Suisse Securities (USA) LLC were Joint Lead Arrangers and Joint Bookrunners for the new credit facilities. 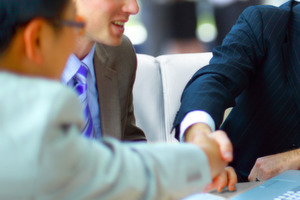 BofA Merrill Lynch acted as financial advisor to Mitel and Morgan Stanley acted as financial advisor to Mavenir in connection with the transaction. Mitel's previously announced exchange offer to acquire all of the outstanding shares of Mavenir common stock expired at 12:00 midnight, New York City time, on April 28, 2015. A total of approximately 24,266,280 shares of Mavenir common stock were tendered to the exchange offer, representing approximately 83% of Mavenir's outstanding shares. Mitel has accepted for payment all of the tendered shares and following the exercise of a top-up option Mitel completed the acquisition of Mavenir by causing the merger of its subsidiary with and into Mavenir. Upon completion of the merger, Mavenir became an indirect, wholly owned subsidiary of Mitel. As previously announced, the Cash Consideration and the Share Consideration (each as defined in Mitel's registration statement relating to its exchange offer) payable in connection with the exchange offer and the merger will equal US$17.55 in cash and 1.8320 Mitel common shares, respectively, in each case, subject to proration. Based on preliminary election results, Mavenir stockholders that elected to receive Cash Consideration are expected to be prorated and receive a combination of cash and Mitel common shares for each of their shares of Mavenir common stock. Mavenir stockholders that elected to receive Share Consideration or that did not make an election or tender their shares in the exchange offer are not expected to be prorated and are expected to receive 1.8320 Mitel common shares for each of their shares of Mavenir common stock. No fractional Mitel common shares will be issued, and Mavenir stockholders will receive cash in lieu of fractional shares. A press release announcing the final results of the election will be issued once the proration calculations have been finally determined. Any questions regarding the calculation of the Cash Consideration, the Share Consideration and proration should be made to Georgeson Inc., toll-free at 1-866-628-6021. Some of the statements in this press release are forward-looking statements (or forward-looking information) within the meaning of applicable U.S. and Canadian securities laws. These include statements using the words believe, target, outlook, may, will, should, could, estimate, continue, expect, intend, plan, predict, potential, project and anticipate, and similar statements which do not describe the present or provide information about the past. There is no guarantee that the expected events or expected results will actually occur. Such statements reflect the current views of management of Mitel and are subject to a number of risks and uncertainties. These statements are based on many assumptions and factors, including general economic and market conditions, industry conditions, operational and other factors. Any changes in these assumptions or other factors could cause actual results to differ materially from current expectations. All forward-looking statements attributable to Mitel, or persons acting on its behalf, are expressly qualified in their entirety by the cautionary statements set forth in this paragraph. Undue reliance should not be placed on such statements. In addition, material risks that could cause actual results to differ from forward-looking statements include: the inherent uncertainty associated with financial or other projections; the integration of Mavenir and the ability to recognize the anticipated benefits from the acquisition of Mavenir; the anticipated size of the markets and continued demand for Mitel and Mavenir products and the impact of competitive products and pricing that could result from the announcement of the acquisition of Mavenir; the effects of proration on the consideration to be received in the exchange offer and the merger; access to available financing on a timely basis and on reasonable terms; Mitel's ability to achieve or sustain profitability in the future since its acquisition of Aastra; fluctuations in quarterly and annual revenues and operating results; fluctuations in foreign exchange rates; current and ongoing global economic instability, political unrest and related sanctions; intense competition; reliance on channel partners for a significant component of sales; dependence upon a small number of outside contract manufacturers to manufacture products; and, Mitel's ability to implement and achieve its business strategies successfully. Additional risks are described under the heading "Risk Factors" in Mitel's Annual Report on Form 10-K for the year ended December 31, 2014, filed with the SEC on February 26, 2015, and in Mavenir's Annual Report on Form 10-K for the year ended December 31, 2014, filed with the SEC on March 3, 2015. Forward-looking statements speak only as of the date they are made. Except as required by law, Mitel does not have any intention or obligation to update or to publicly announce the results of any revisions to any of the forward-looking statements to reflect actual results, future events or developments, changes in assumptions or changes in other factors affecting the forward-looking statements. A global market leader powering more than 2 billion business connections and 2 billion mobile subscribers every day, Mitel (Nasdaq:MITL) (TSX:MNW) helps businesses and mobile operators connect, collaborate and take care of their customers. Our innovation and communications experts serve more than 60 million business users in more than 100 countries, and 130 service providers including15 of the top 20 mobile carriers in the world. For more information, go to www.mitel.com and follow us on Twitter @Mitel.